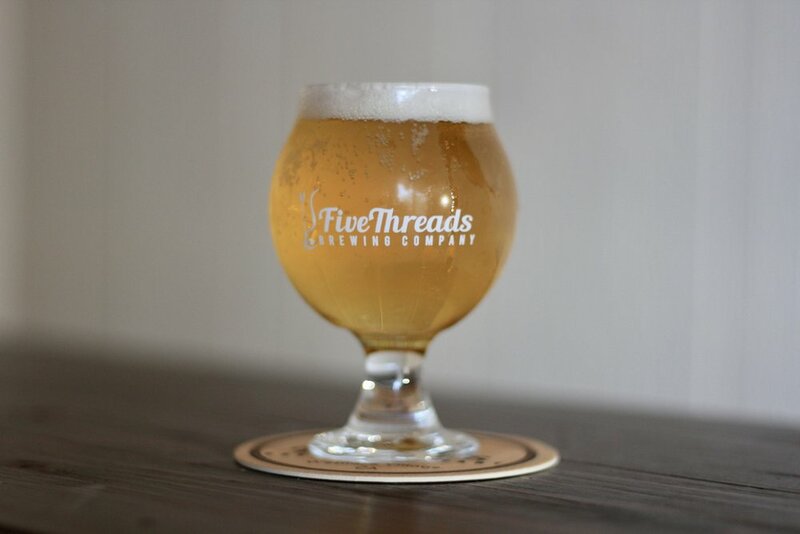 Small and local, we hand-craft the full micro brew experience. 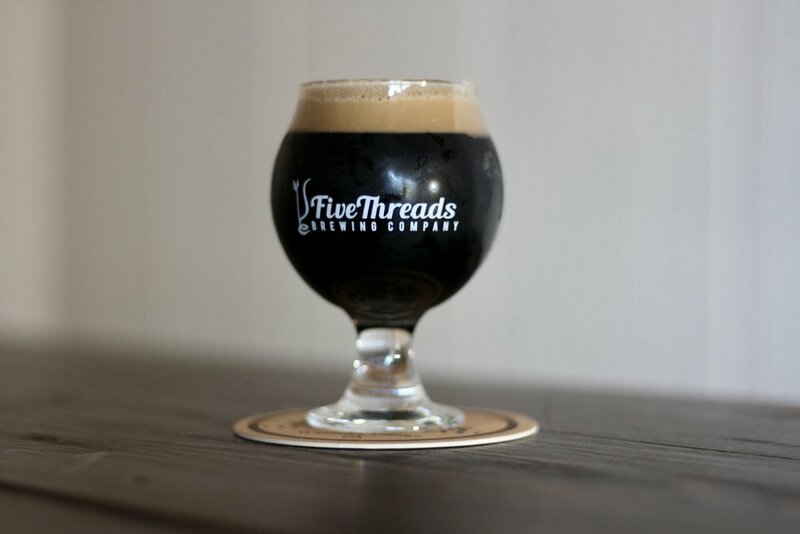 Ask your server for a glass and become a part of the Five Threads experience today. 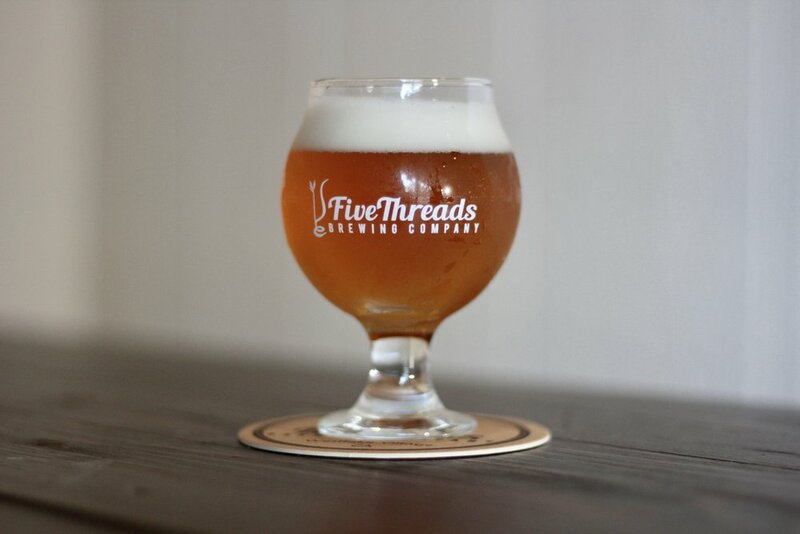 Modeled after the American Cream Ale style, this blonde has a light and delicate body. A pinch of Liberty hops adds a subtle lavender aroma. Fruity and lush, Heidi relies on a special yeast to create banana, apple and clove aromas. This refreshing beverage is highly carbonated and finishes with a bready character similar to a light cracker or biscuit. Once upon a time, she was "Hey...I'm Single." 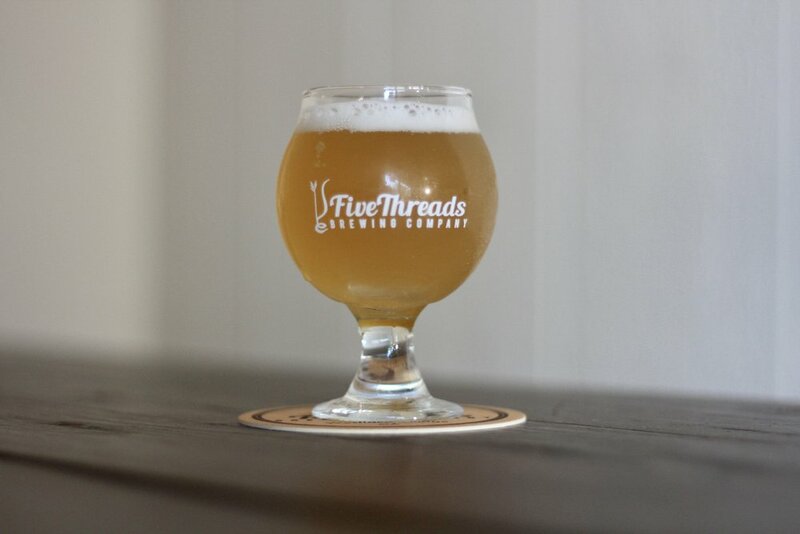 But a slight tweak to the recipe has given us our new Saison "Recently Single!" Still light and crisp but with a little more rustic farmhouse character. Perfect for our warming spring season. Complex roast with slight caramel balance. A recent hike in the Sierras inspired us to create the largest beer we’ve brewed to date. This quadruple American stout pays homage to the largest tree in the world, the California Native Giant Sequoia. 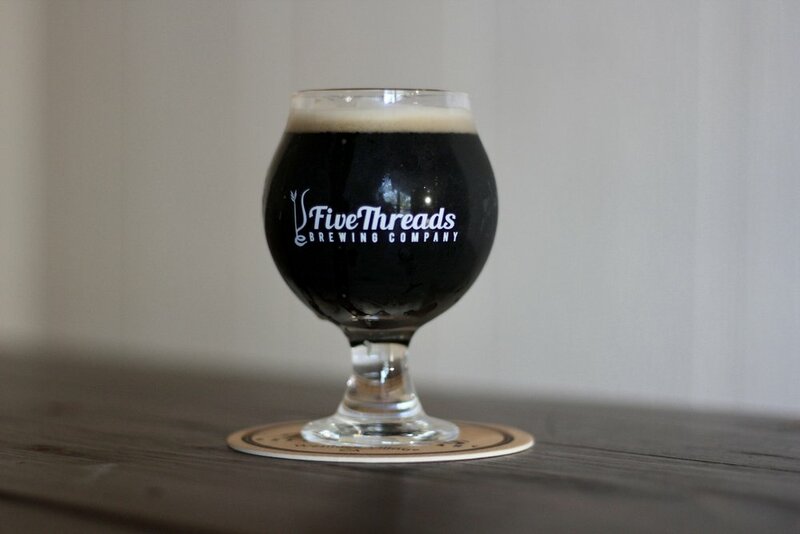 As an American stout, this beer features not only a firm roast malt character, but also the citrus and pine qualities of cascade and mosaic hops. Our signature Pantry Porter aged with cocoa nibs, coconut & oak. We made an imperial milk stout and then aged it on Irish whiskey-soaked oak, making it roasty & thick with plenty of cherry and dried plum character. "She's not bad. She's just brewed that way." Big, juicy hops, velvety body & ruby hue. Home brew winner! AKA Andy’s Promiscuous Peach. Surprisingly light and full of crisp pear and subtle spice flavors, Serenity’s dry champagne-like finish will leave your palate feeling peaceful and serene. Our local hills abound with white sage. Considered a sacred herb by the native population, sage was used to purify and protect the soul and body. We have added it to our summer saison to pay homage to our local heritage and bring peace and protection to your palate. 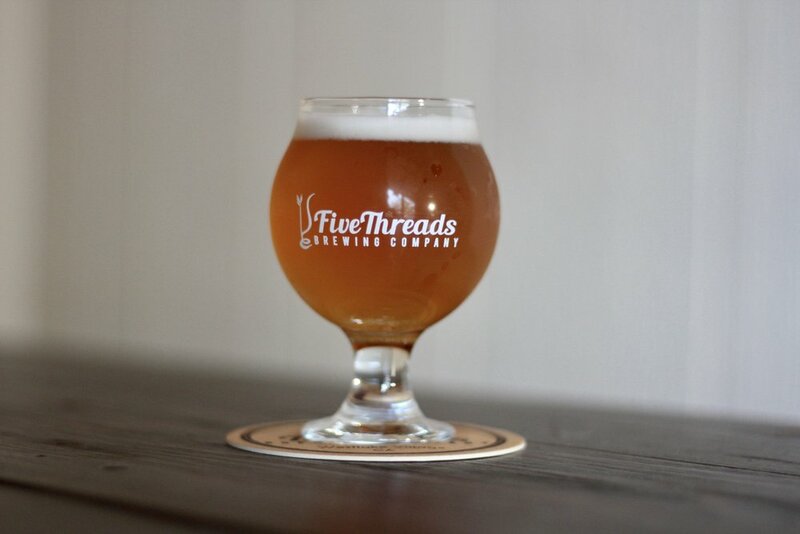 The earthy spice will bring a smile to your lips and the velvety mouthfeel of this brew matches the soft texture of the sage leaves. Smooth & Velvety, this Belgian single has the fruit & spice of a traditional Belgian but is tamed with the Vanilla notes of Bourbon Barrel Aging. Lupulin Euphoria - Extreme citrus aroma. West Coast IPA - Cascade & 4 other hops. A luscious blend of Bliss and Obligatory Pale. Collaboration with Craig Shapland - Complex pineapple, pine & grapefruit. Batch #3 hops add Ekuanut and Zythos to the mix with Citra & mosaic still dominant. Our original West Coast IPA with a grapefruit twist! Big Brother to Tomfoolery, this Double Hazy IPA is packed with even more juicy hop deliciousness. For your Imbibing pleasure 26 calculated IBUs, but we put a ton of hops in the whirlpool increasing the perceived hop bitterness. A massively hopped monster, meet Bliss' big daddy! Effervescent body, notes of pineapple and spice. Up front, smooth floral, lavender and honey flavor meet a "light" doughy biscuit malt finish to make Lucy quite the English delight. Made with 10 Speed Coffee's Kickstand beans, High Gear is a creamy blend of chocolate & coffee. Aromas of peach and pear, complemented by spice. Our 2nd Anniversary edition is aged in bourbon barrels with cocoa nibs & vanilla beans. Cherenkov tastes richly of chocolate & roast. Bliss' lil' sister, full of flavor, but not so much bite. Unique and smooth, tropical flavors blend perfectly with the rye to give a balance fruit forward IPA. This is a large beer, with malt & Carmel flavors and a bonus touch of dried fruit. Crazy! "She's a little tart!" Refreshing peachy citrus with cracker finish, kettle soured. Infused with a twist of locally sourced lavender. Light, crisp body, sweet pear aroma, notes of orange peel and Belgian spice and a subtle graham cracker finish. Belma & Hill melon hops give trace of strawberry. Smooth caramel malty balanced with a slight hop bitterness. Vanilla and coconut notes complimented by rich dark malts. Our signature Pantry Porter aged with coco nibs, coconut, and oak. Nitro - hints of dark cherry, toast, & hazelnut on Nitro & CO2. Malty sweet with aromas of cartelized banana and spice. Tart and light with some oak for depth. Belma and El Dorodo hops give a hint of strawberry. Wheat IPA - Crisp w/big piney hop character. 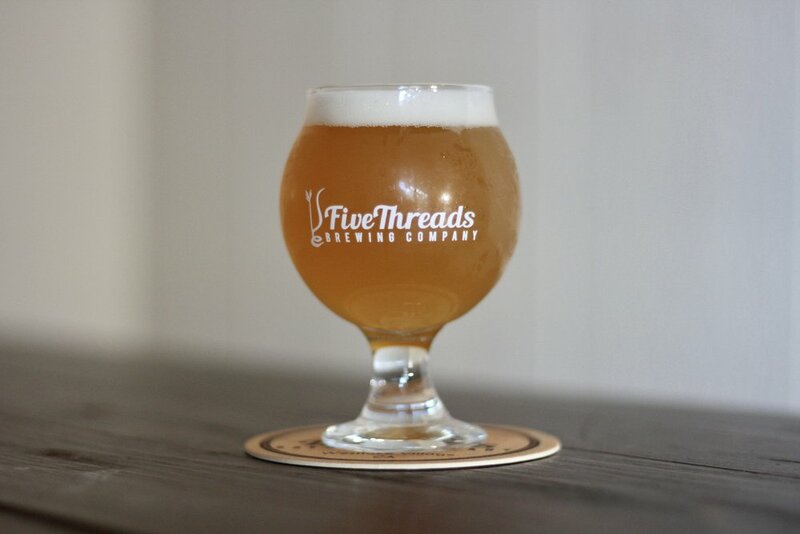 Pilsner meets West Coast IPA - Saaz Hops - Orange blossoms floating on doughy liquid bread. Colab w/Fig Mt. & Westlake Brewing - Big aroma lighter body.